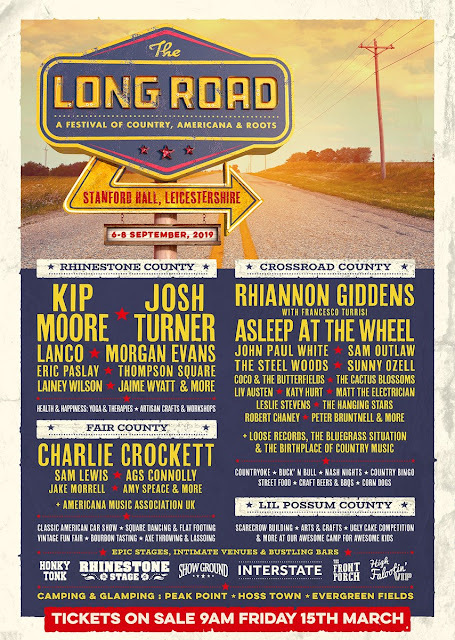 country routes news: The Long Road Festival announces the 2019 Line-up! The Long Road Festival announces the 2019 Line-up! Kip Moore, Josh Turner, LANCO, Lainey Wilson and Rhiannon Giddens with Francesco Turrisi. Outside of some really great performances, The Long Road are also bringing back all of their counties which will include activities and experiences like Countryoke, a Classic American Car Show, Square Dancing and so much more. WHEN: Friday September 6th – Sunday 8th 2019. Following the success of the first edition of The Long Road festival, which saw performances by over 70 artists from across the Country, Roots and Americana spectrum, the immersive 3-day music and lifestyle event will return to Stanford Hall in Leicestershire this summer. 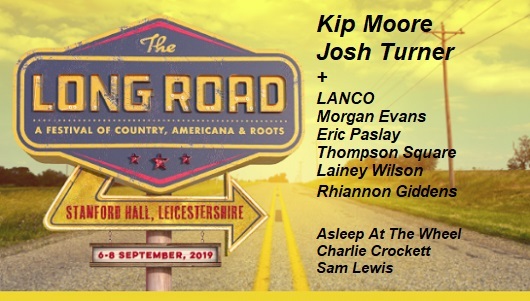 Running from Friday 6th to Sunday 8th September, the festival has announced the first wave of acts confirmed to perform at this year’s event including its two headliners, superstar Country singers Kip Moore and Josh Turner. Since the release of his breakthrough hit “Somethin’ ‘Bout a Truck”, now widely regarded as one of the all-time classic Country songs, Kip Moore has positioned himself at the forefront of the genre, releasing a string of best-selling albums. 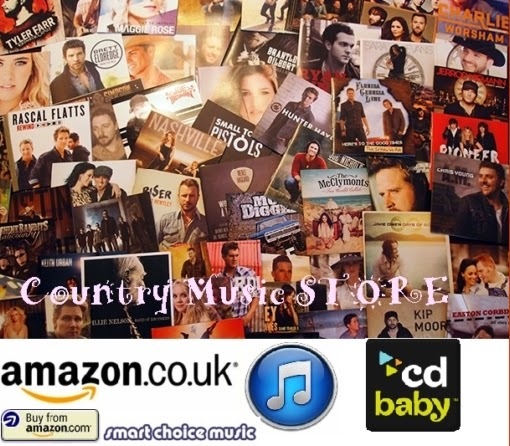 Josh Turner, who makes his first ever UK appearance, is one of Country music’s most in-demand artists having sold over 12 million albums across the course of an illustrious career. Moore and Turner will headline the Rhinestone Stage on Saturday 7th and Sunday 8th respectively. The festival will also present shows from the likes of nine-time Grammy-winning Asleep At The Wheel, who make their first full-band appearance in the UK for over 10 years, former Civil Wars member John Paul White, soulful Texan troubadour Charley Crockett, up-and-coming US five-piece LANCO, Nashville-based Country-Soul singer Sam Lewis, Americana duo The Cactus Blossoms, rising Country star Lainey Wilson, Southern Rock quartet The Steel Woods, LA-based vintage alt-Country singer Leslie Stevens and Grammy-winning singer-songwriter Rhiannon Giddens, as well as some of the leading UK Country, Americana and Roots artists including The Hanging Stars, CoCo and The Butterfields, Jake Morrell and Peter Bruntnell. More acts will be announced in due course. The Long Road presents one of the UK’s largest, most authentic celebrations of Country, Americana and Roots music featuring five stages of live performances and a wide range of additional offerings including songwriters’ rounds, a wellness area, a classic American car display, traditional Southern-style food stalls, heritage crafts and workshops, and dedicated kids’ area. The festival’s varied live performance spaces range from its Rhinestone County main stage, to the much-talked-about Honky Tonk Bar and Front Porch; intimate, immersive spaces that transport their audiences straight into an authentic, Nashville-inspired world. The festival will also revisit its partnerships with The Birthplace of Country Music, which showcases the role that Bristol, Tennessee and Bristol, Virginia played in the birth and development of Country music, The Bluegrass Situation (BGS), an online music magazine and curator promoting the continued growth of Bluegrass, Roots, progressive Folk Rock, Americana music and culture, The Americana Music Association UK, and independent UK label Loose Records. These organisations will bring artists to the festival to showcase the broad array of talent on offer across the global Country, Americana and Roots music scene. The Long Road will take place at Stanford Hall in Leicestershire from September 6th – 8th 2019. Tickets are on sale from 9am this Friday March 15th. Day tickets start at £40*, Weekend No Camping tickets at £90* and Weekend Camping tickets start at £110* (*for one adult ticket plus booking fees). Ticket prices correct at time of announcement. Tickets are available from Ticketmaster UK & www.thelongroad.com. The AMA-UK is a professional trade association representing and advocating for the voice of American roots music in the UK. Our aims are to have greater recognition of Americana music in the UK and build a vibrant network of like-minded businesses to promote Americana music in the UK and foster links to similar networks internationally, not least the Americana Music Association in the US. We aim to Nurture and support UK artists in the Americana field and support international Americana artists touring the UK. Stanford Hall is a beautiful stately home set in 700 acres and located in the heart of the Leicestershire countryside, near Stanford on Avon. Avenues of established, majestic trees radiate in all directions from the Hall, most prominently the North Avenue which stretches as far as the eye can see. Woodland, ridge and furrow pasture and ancient remains of buildings of a previous age and the enclosed rose garden nurture an atmosphere of profound tranquillity and peace.